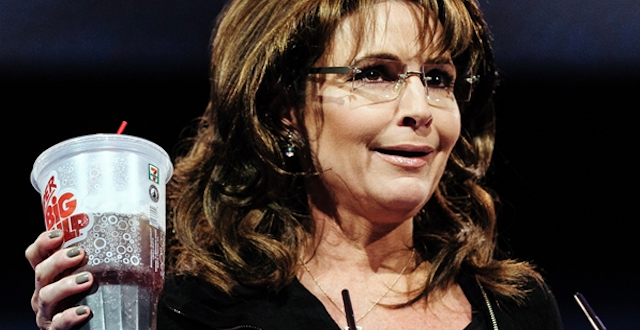 HYPOCRISY EXPLOSION: Sarah Palin Denounces Ted Cruz As An Inexperienced "Half-Term Senator" - Joe.My.God. “Calling GOP frontrunner supporters ‘low information’ disengaged voters, Ted Cruz’s insinuation reeks of all the reasons America knows ‘the status quo has got to go.’ The arrogance of career politicians is something at which the rest of us chuckle, but Cruz’s latest dig strays from humorous into downright nasty. Cruz is right, though – independent, America-first, commonsense conservatives supporting Donald Trump ARE ‘low information’ when it comes to having any information on Cruz’s ability to expand the conservative movement, beat Hillary Clinton, unify and lead the nation. “Where’s information on any Cruz success whilst in his short, half-term U.S. Senate seat, proving his resume’s advantage over another career politicians’s lawyerly executive inexperience that includes never having created a single private sector job, but boasting of his constitutional law teacher creds? (Remember America experimented with that resume before; how’d that work out for the country? )” – Sarah Palin, writing today on her Facebook page.